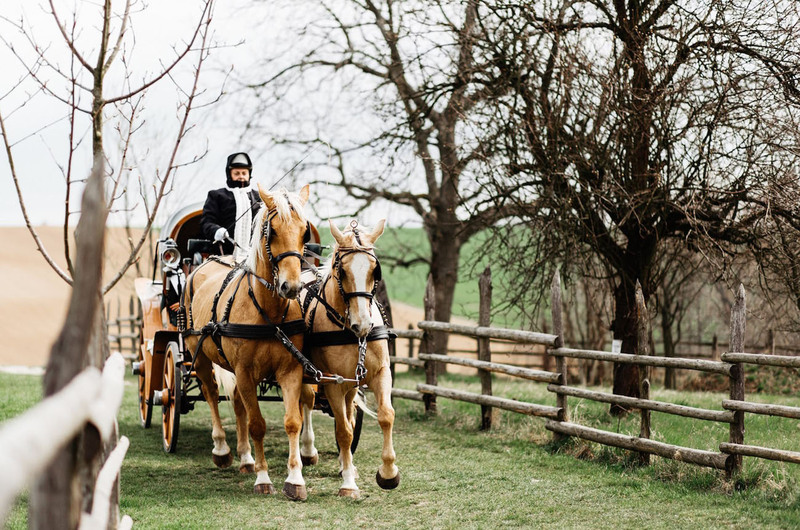 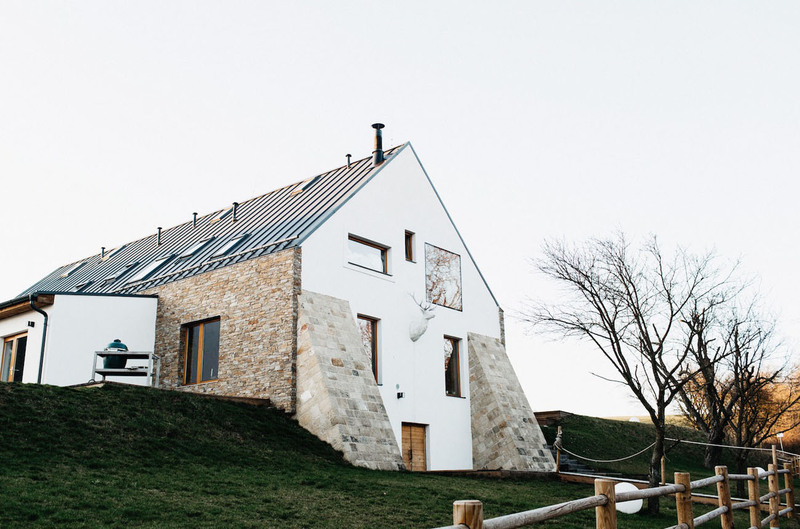 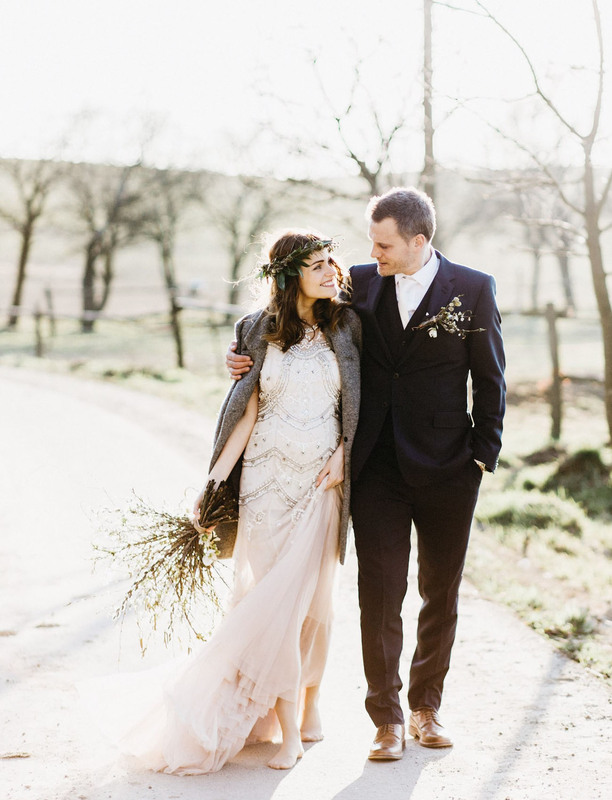 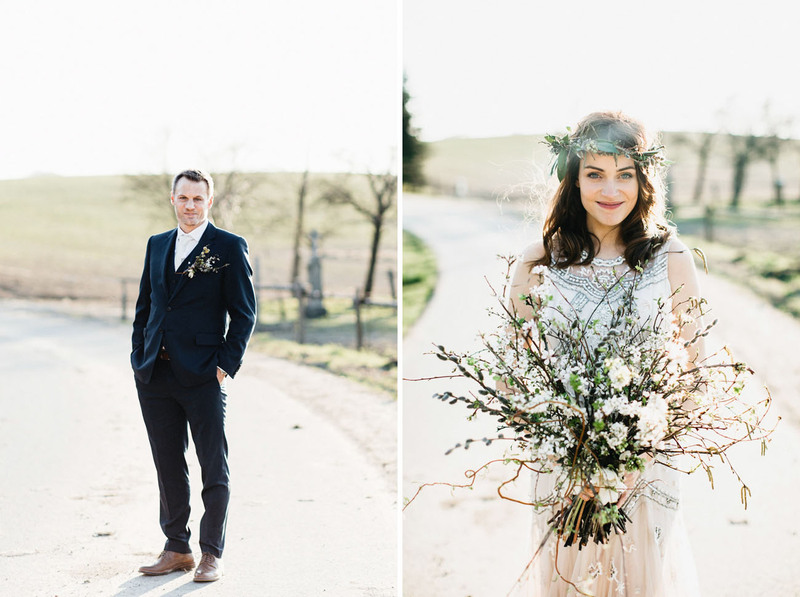 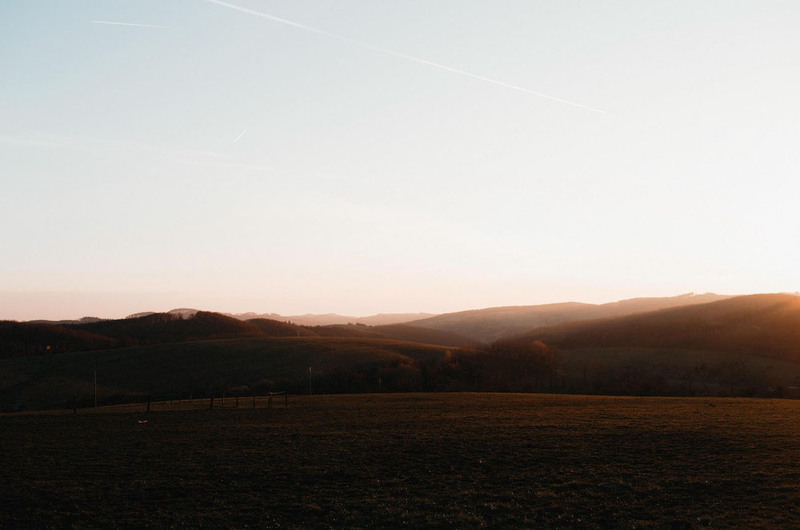 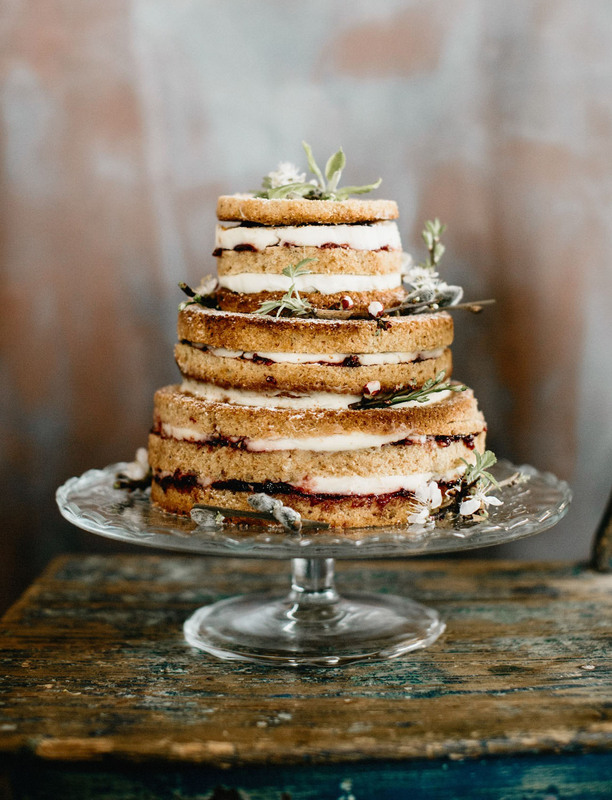 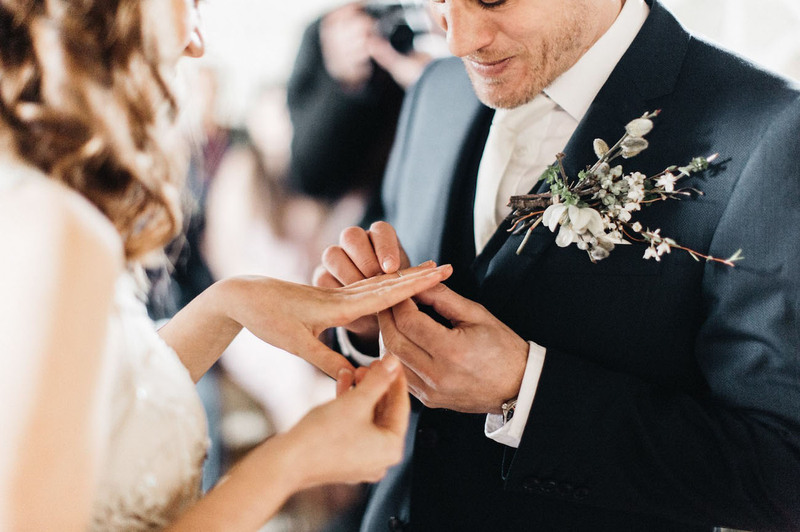 On the first day of April, at a magical renovated farmhouse in the Czech countryside, Tea + Matt exchanged their vows with an effortless, relaxed celebration that was utterly enviable if you ask our team! 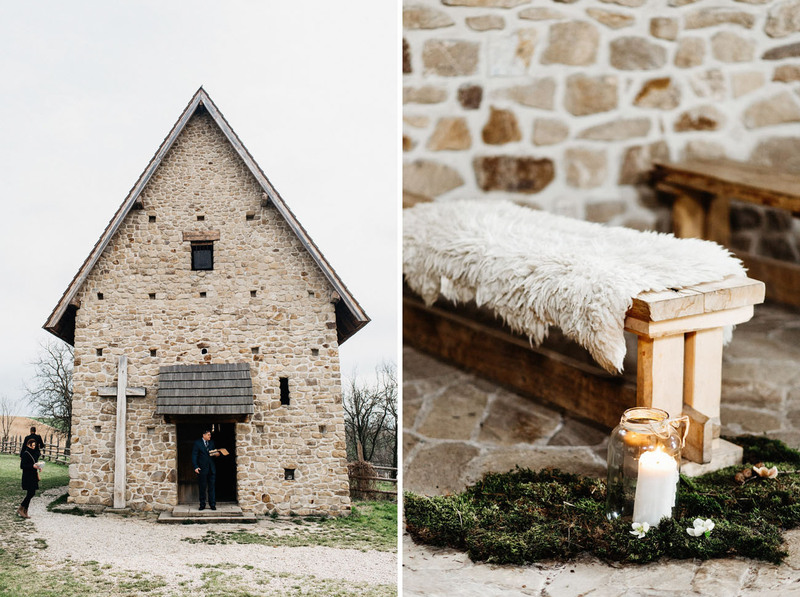 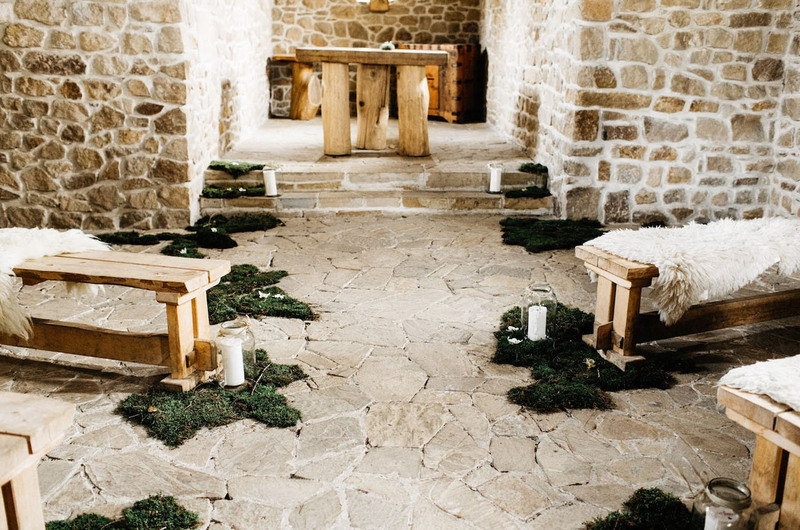 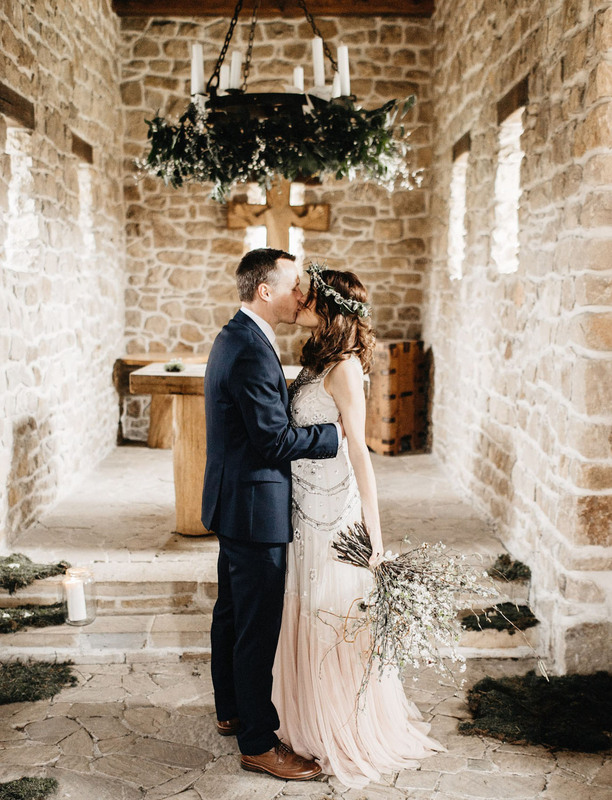 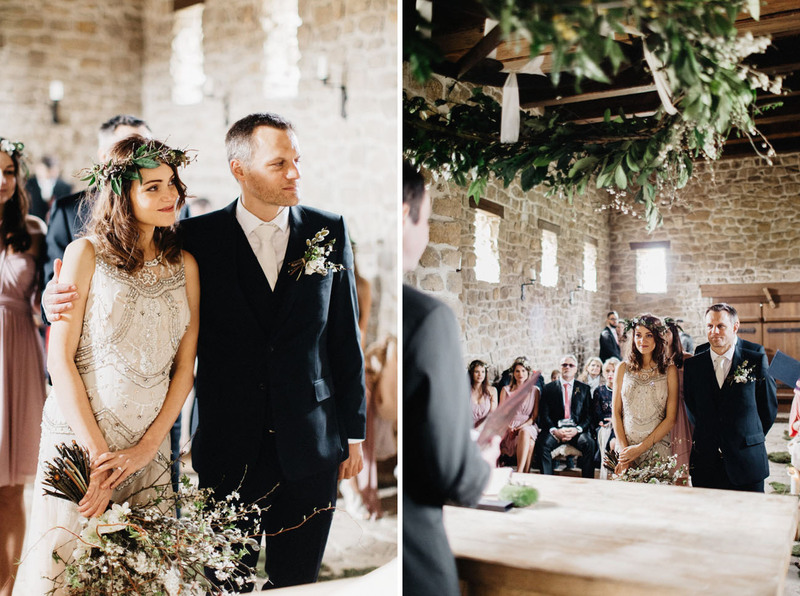 Their ceremony was held in a little, old chapel – French style – according to their photographers, Lukas + Eliska of Couple of Prague, decorated with moss, candles and a big chandelier covered with greenery. 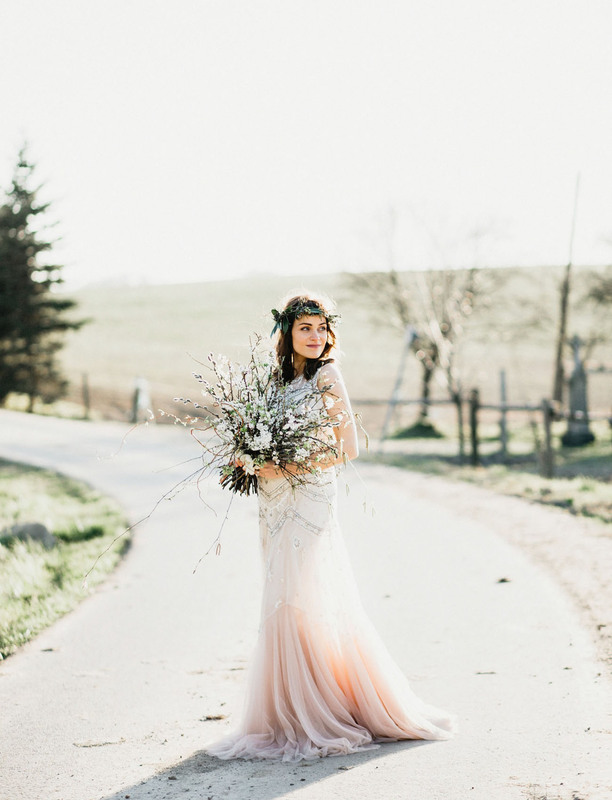 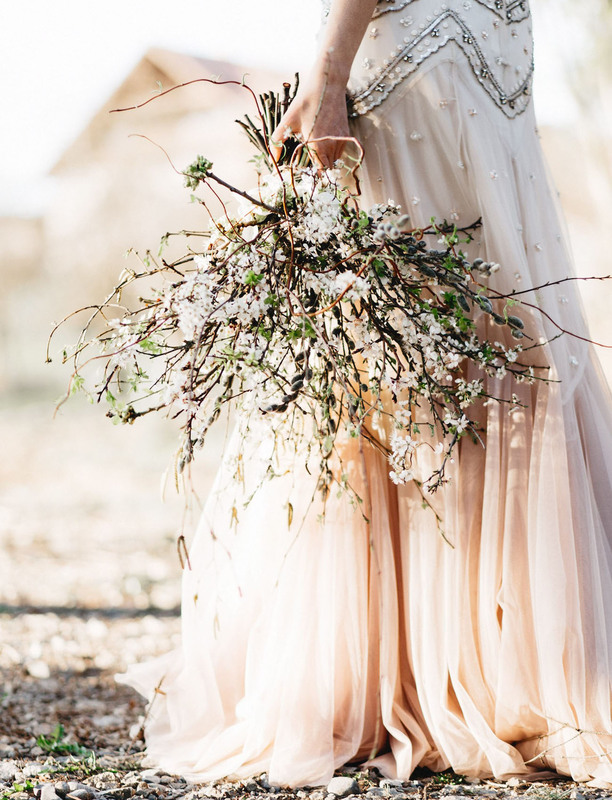 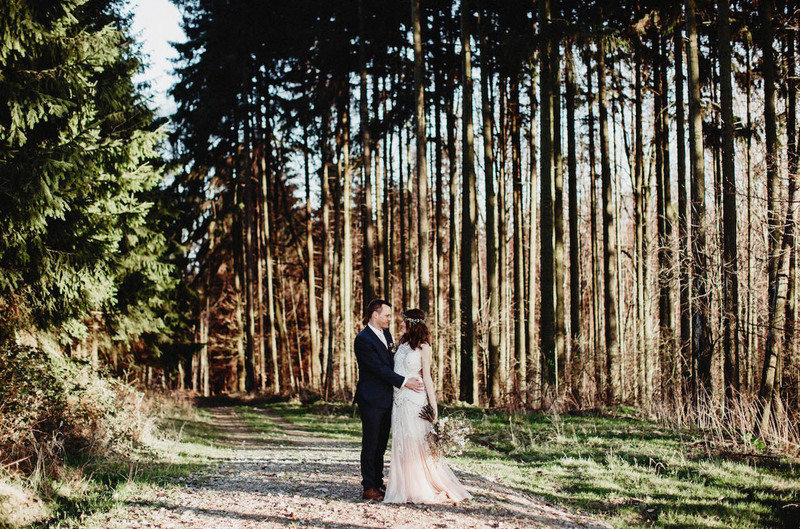 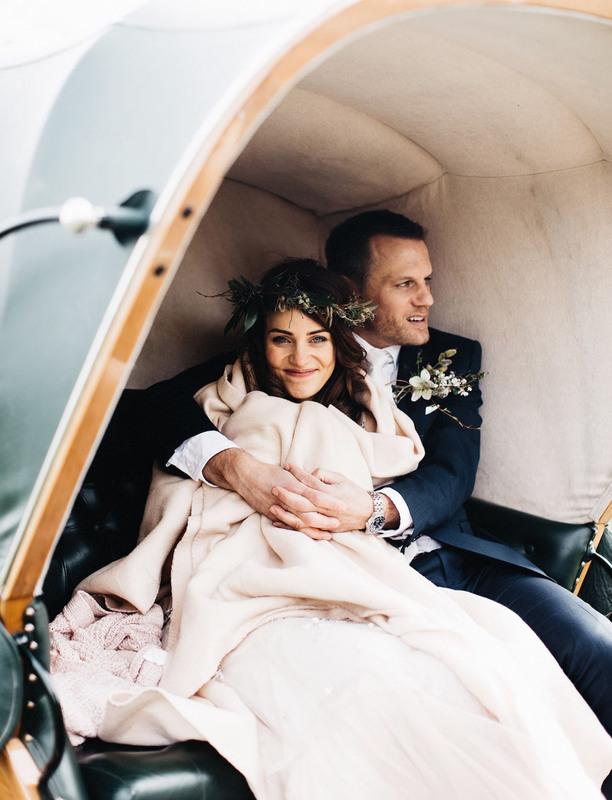 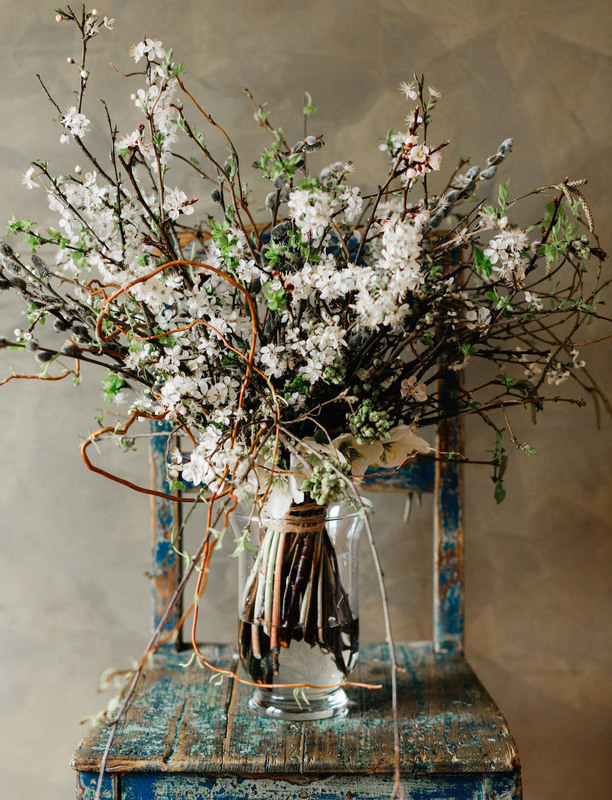 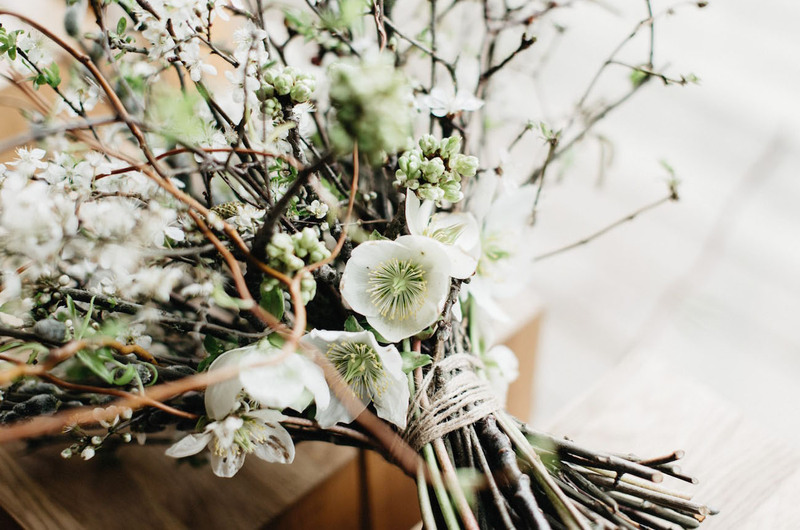 The day, planned by Marie Sotkovska, was the perfect way to celebrate not only their love, but winter beautifully transitioning into spring, and we’re just in love with every last bit of it! 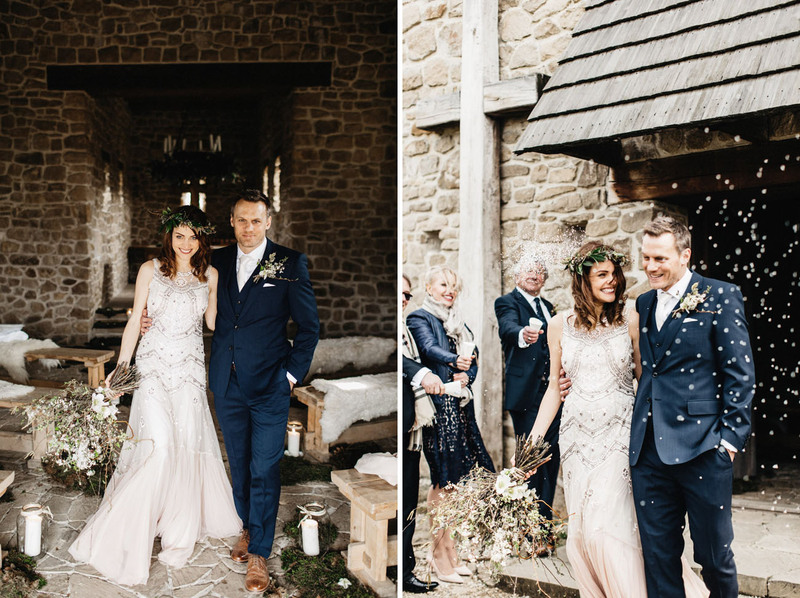 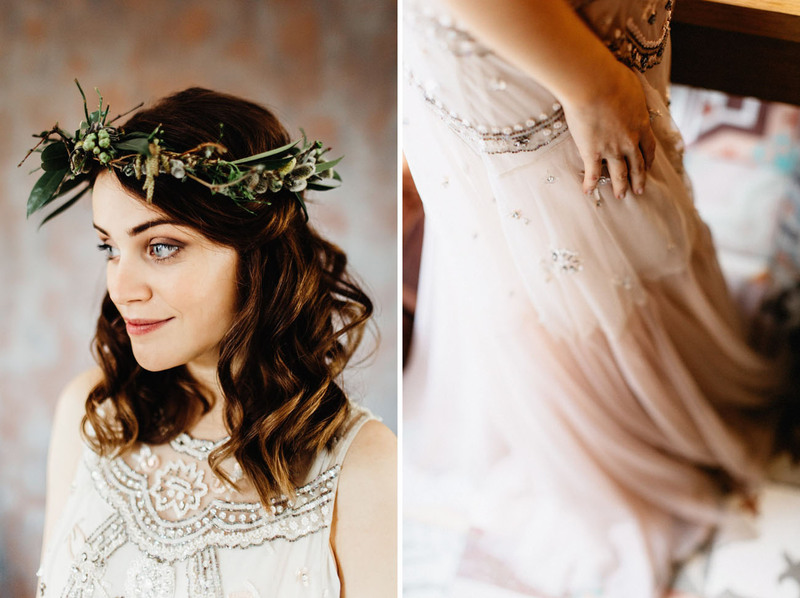 Tea looked so stunning in her beaded, blush Needle & Thread dress, which she paired with a wild greenery flower crown by Loukykvet. 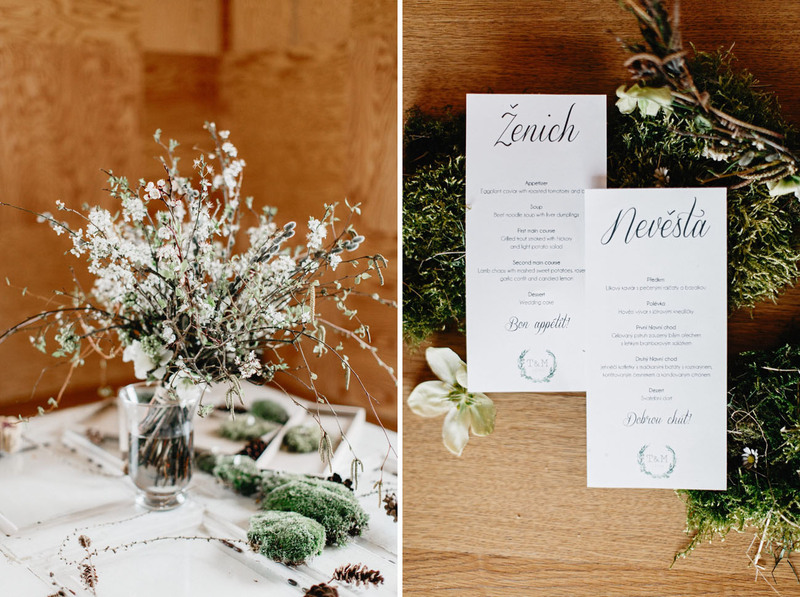 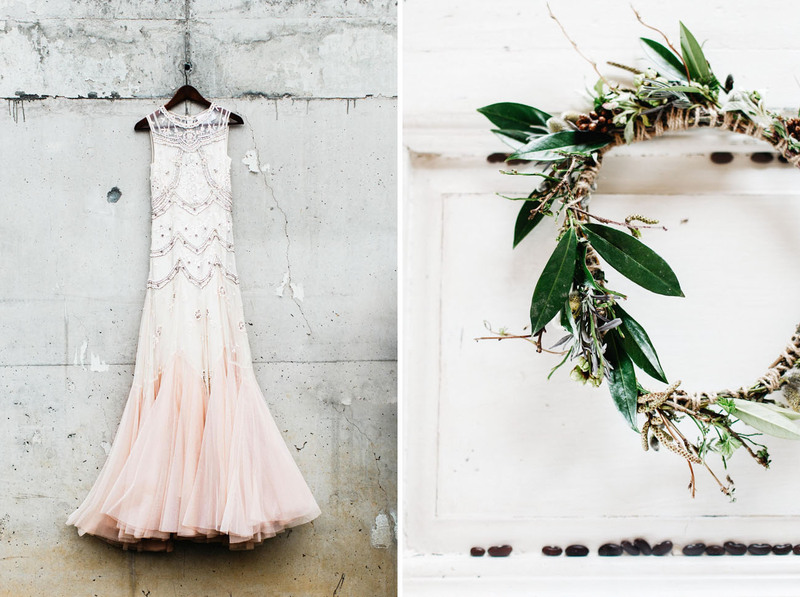 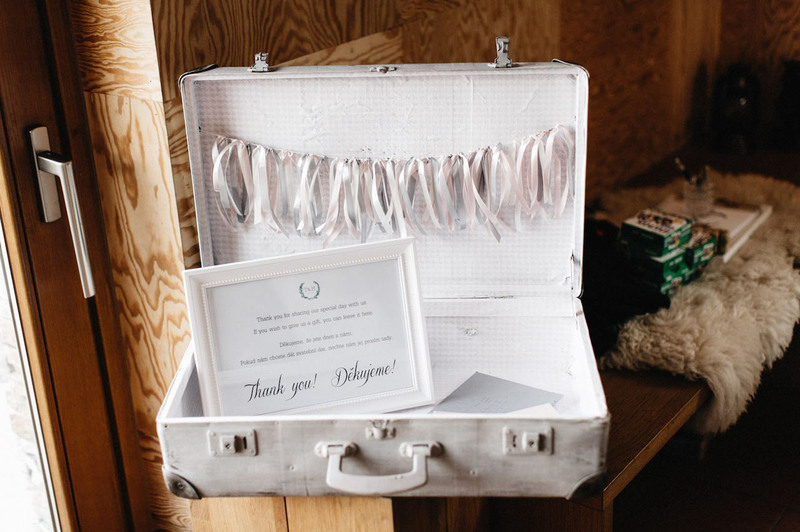 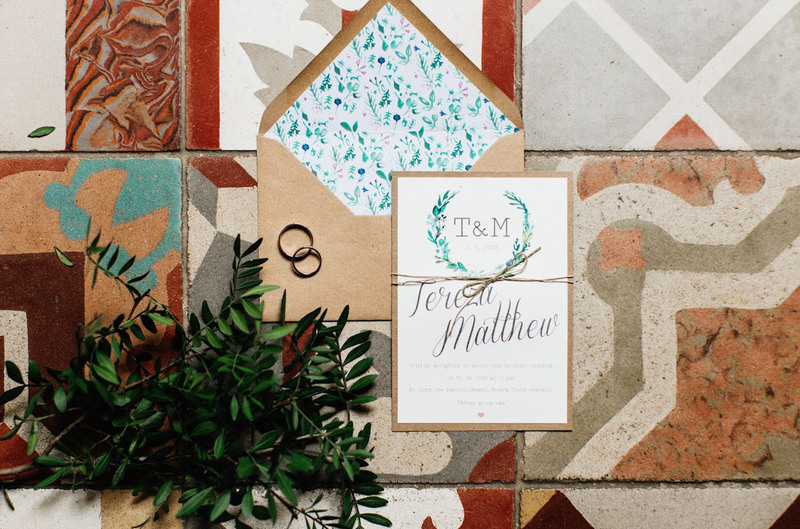 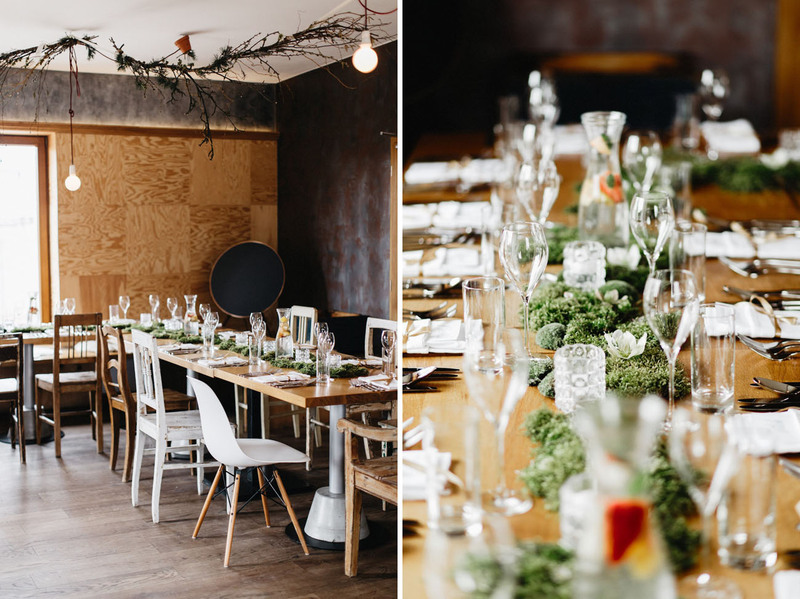 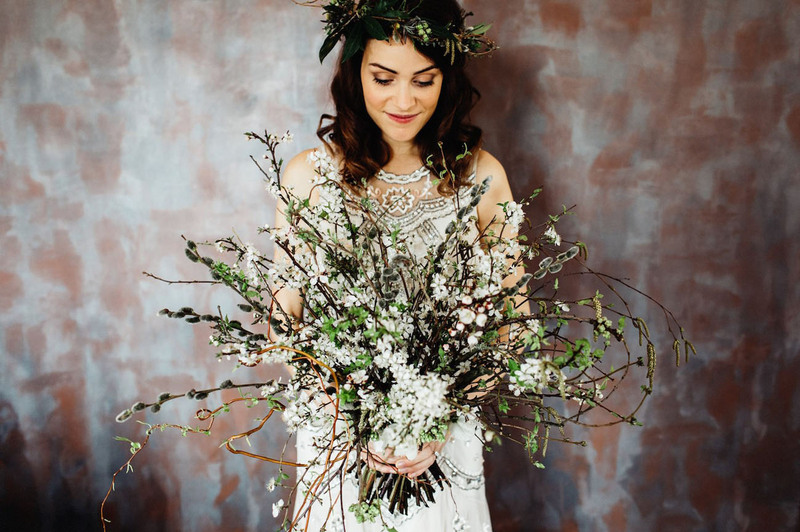 The styling of T + M’s ceremony is the perfect inspiration for upcoming winter weddings! 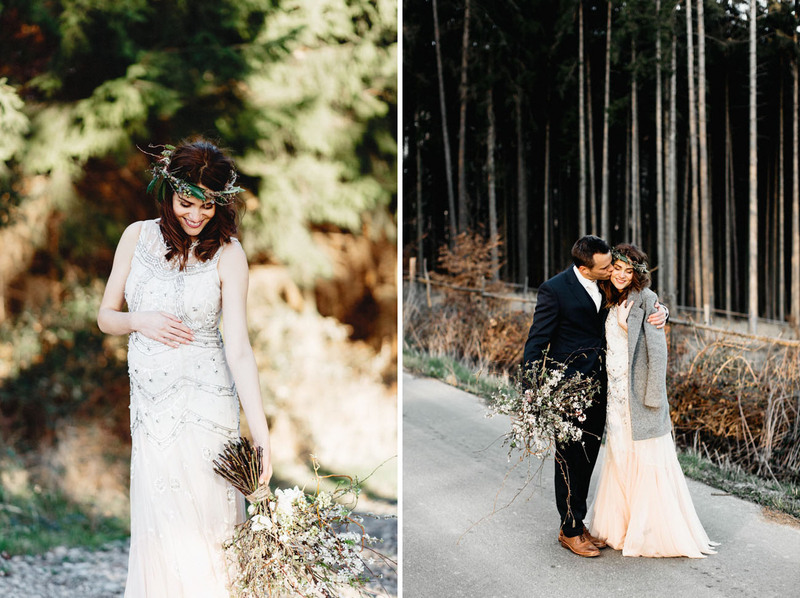 Tea + Matt are expecting a baby soon, and we love these portraits that not only capture the two of them on their wedding day, but Tea’s adorable baby bump; the perfect way to always remember the days before they officially became a family of three! 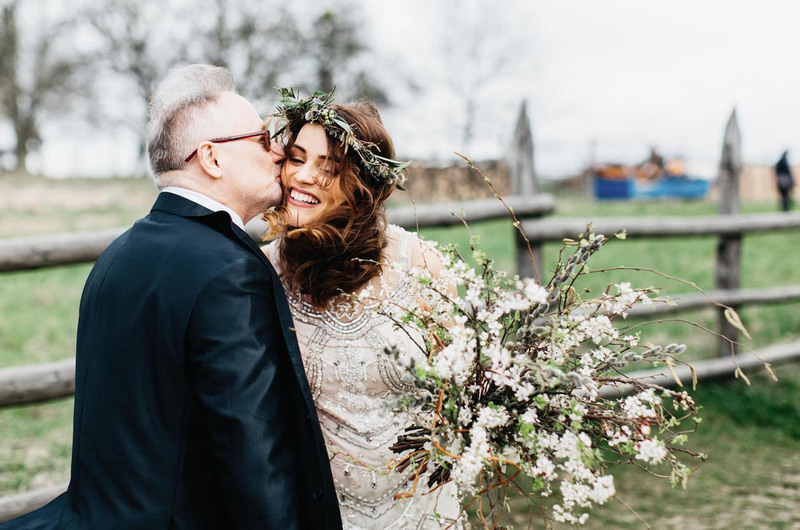 Such a truly beautiful + meaningful day! 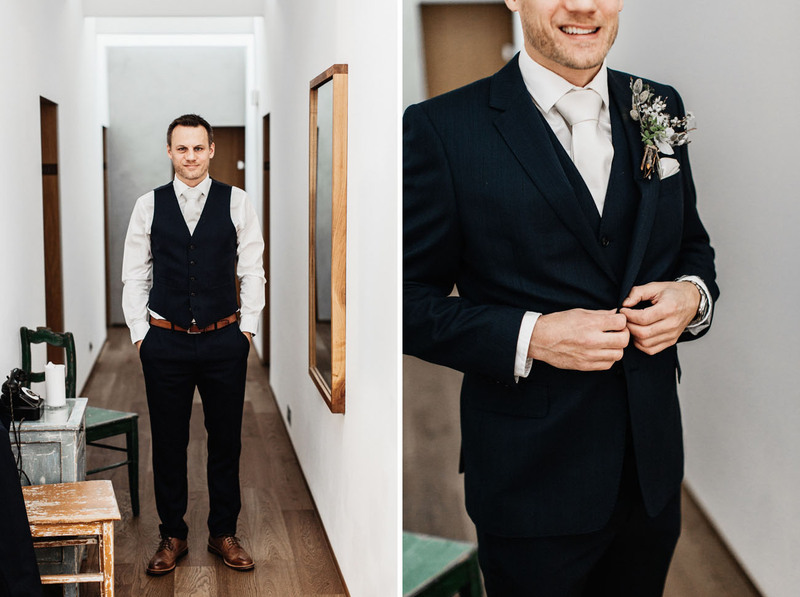 Biggest congrats to Tea + Matt on both their wedding day and growing family! 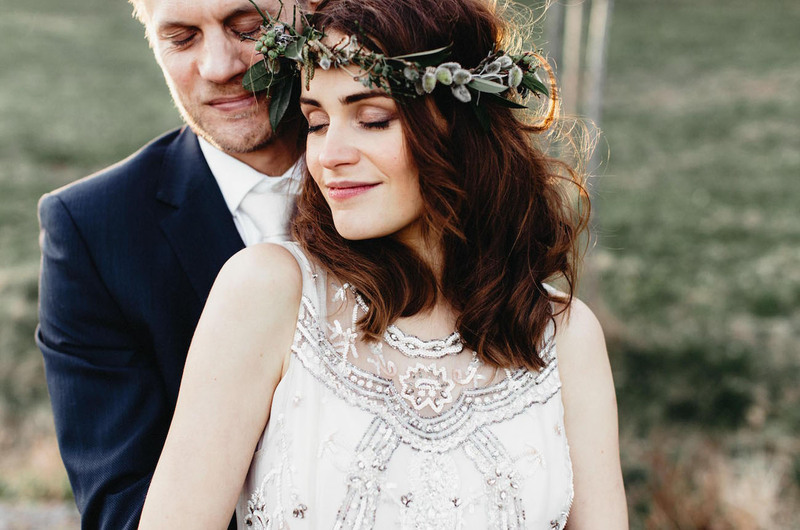 The beading on her dress is so pretty!